It’s easy to become confused about the concepts of aura and chakra and use them interchangeably. People online seem to do that as well and that can mislead people who want to know more about them. While auras and the chakra energy system are connected they’re not exactly the same and it’s important to understand the difference if you want to know how to check your aura or chakra. The difference between the two concepts is easy to understand and is explained below. The concept of chakra has become popular recently in the western countries but it has been around for centuries. In ancient spiritual practice, chakra isn’t believed to be a form of energy, but rather a portal that directs the energy within the body to other areas. If all the chakras are balanced, the energy flow is consistent and harmonious. If the chakras are not balanced, then chakra energy healing or alignment might be required. Red – Root Chakra or Muladhara chakra. Orange – Sacral Chakra or Svadhisthana chakra. Yellow – Solar Plexus Chakra or Manipura chakra. Green – Heart Chakra or Anahata chakra. Blue – Throat Chakra or Vishuddha chakra. Indigo – Third Eye Chakra or Anja chakra. Violet – Crown Chakra or Sahaswara chakra. These chakra portals are perfectly aligned from the bottom to the top and when you sit with your back straight, they will form a single line. The chakras are made of energy but they’re constant and will not alter in nature, as clairvoyants believe. Aura is the energy that exudes from your body and surrounds you. Some of the energy that’s circulated by the chakras will escape from the cycle and radiate from your body and that energy can take the form of a visible aura. As this is the energy that’s produced by your body and mind. Everything from your personality to your current mood is reflected in your aura, so if you feel cheerful and happy, your aura will likely be bright and vibrant as per metaphysical people’s belief. If you feel downtrodden and “off”, your aura will likely be portrayed as clouded and muddy and because your aura spreads around out of your body, it will impact your surroundings as well. 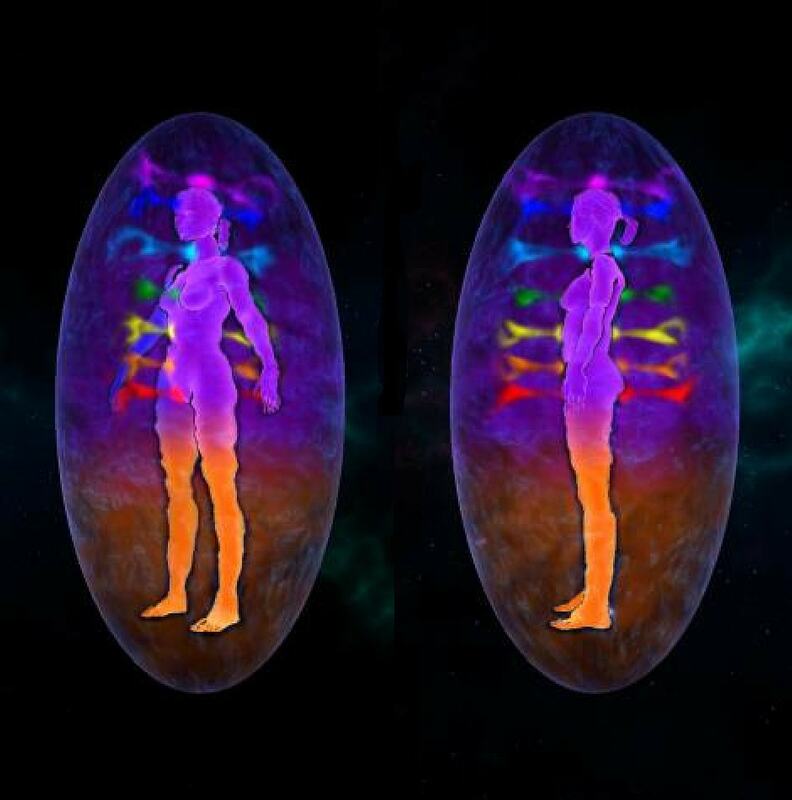 Aura colors correspond with chakra colors as well so most auras will have red, orange, yellow, green, blue, indigo, and violet or purple hues as well. The brightness and vibrancy of the colors will indicate just how healthy your aura is. As you can see, chakras and auras are interconnected but also quite different. It is recommended to understand both of these fundamental concepts if you truly want to understand your spiritual energies.